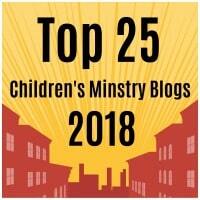 I just realized that Crafting The Word Of God made it into the top 10 list of Ministry To Children’s top 150 children’s ministry blogs and websites for 2018. I have made the intention and purpose of my site very clear throughout the years. My hope is that it serves as a blessing to you and your childrens ministry. A few things have come up this year that have kept me from fully spending as much time as I would otherwise like to invest on my site. But I will continue to work hard to provide you with the resources to make running your ministry smoother. This entry was posted in Bible Crafts, Updates and tagged bible, bible crafts, blog, crafts, God, kidmin, top childrens ministry, website. This entry was posted in Bible Crafts, Coloring Page, Jesus, NT Crafts, Printables and tagged boy, coloring page, Jerusalem, Jesus, Jesus at the temple, Mary, temple, twelve.